[More from an Argentine source. I can report that Argentinians residing in Argentina that I am now in contact with have told me that they fear for their personal safety in even talking about this stuff. Apparently, surveillance and physical violence are taken for granted in Argentina, and it is widely known in Argentina that Bergoglio used physical violence, and was almost certainly involved in murders. Argentinian priest currently doing 15 years in jail after being convicted of abusing teenage boys. To this day he denies the accusations against him. Also charged with embezzling funds from the Happy Children foundation for his personal benefit. Ran a foundation known as “Happy Children” (giving him and others access to 6,400 children and teens) which received state funding and private donations to help house/clothe/feed poor children and orphans. Referred to himself as “Father of the fatherless”. While running the foundation he appeared a lot in the media, soaking up the attention, raising millions, and befriending celebrities. Accusations against him first came out in 1991 and they grew in volume each year. Countless people writing letters, trying to alert the media, the authorities, and the church – all ignored. The most public victims all 15 – 17 year old boys. Defended by the media and celebrities, as well as Church authorities, especially Bergoglio. Throughout the actual trial, witnesses and others making accusations were on the receiving end of beatings, and physical and verbal aggressions. Many witnesses are of the belief that Bergoglio himself directed the thugs to intimidate everyone. The PI produced a 4 volume report, 1000+ pages, attempting to exonerate Grassi and downplay/deny the sexual abuse. This report was sent to judges who had yet to make a decision on the case, in an attempt to sway their opinion. This is all on Wikipedia (except for the Francis stuff) in addition to Spanish outlets, BBC, etc. when you google Grassi. Another Argentinian priest accused of abusing teenage boys. He is now dead (from AIDs) but did not receive any punishment from the government or Church. The diocese was charged with negligence with regards to how they handled the case and had to pay Gabriel and his mother 155,000.00 in pesos plus 10 years interest. Her son attempted suicide and the Church paid for his psychiatric expenses. Journalist Marco Tossati was intimidated by Bergoglio’s “security guards” after trying to keep this case in the public eye years later. When Beatriz wanted to file criminal charges, the diocese said they had no idea where Pardo was and did nothing to help. Later that year it came out that Pardo had been living in Flores, a neighborhood of Buenos Aires. 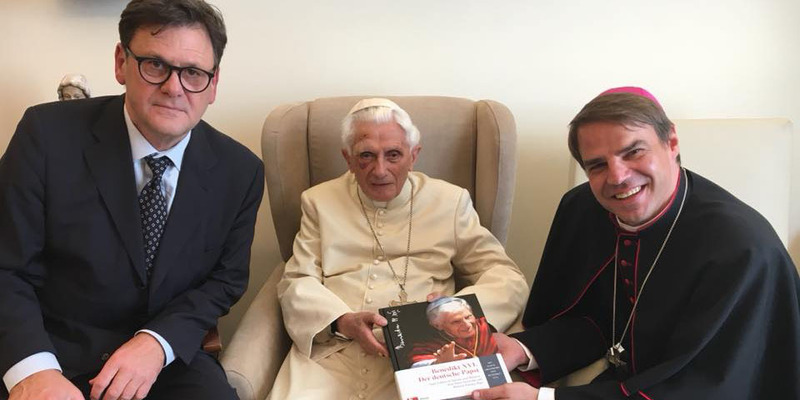 He was staying (hiding out in) at a home for retired priests that was under the jurisdiction of Bergoglio. He was teaching primary school and hearing the confessions of children. There was no way he could have stayed there, with that job, without Bergoglio’s help. This entry was posted in Uncategorized on September 10, ARSH 2018 by Ann Barnhardt.